All Posts Tagged With: "YSL"
Redken Creative Consultant Guido styled the hair at the Spring/Summer 2012 Yves Saint Laurent fashion show, October 3rd, 2011, taking inspiration from the fashion house’s own rich history, mirroring a collection which also seemed to be a chic, well-cut update of their revered style. According to Victoria’s Secret Angel Alessandra Ambrosio’s Twitter her favorite summer nail polish is YSL No9! “Getting a manicure with my new favorite summer polish!!! YSL No9”. 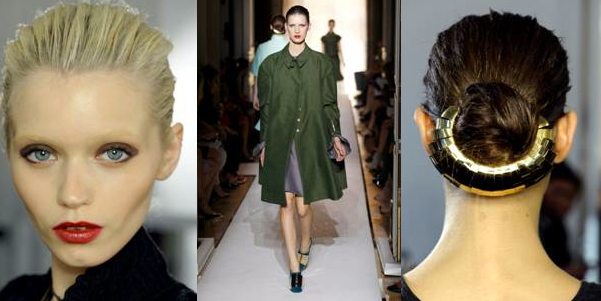 YSL’s Fall Makeup Look 2010. This season the YSL woman takes to the stage. She is excessive, flamboyant, passionate. She experiments with color to reinvent herself. Her life is a theatre. She plays with textures and shades: satin skin, velvet lips, eyes shimmer in metallic hues. There are no rules. She is after all, the YSL Woman! OPIUM YSL New Bottle: YSL has done a fabulous job of updating the look of a classic fragrance. The transparent window recalls the “O” and is luminescent like the sun of a dreamy, imaginary world where the Opium fragrance takes you. (only the bottle has changed, the fragrance remains the same). OMBRES SOLO – Smoothing Effect Eyeshadow in 12 individual shades. Comes with a brush applicator for a truly professional finish. Oscars 2010: From glowing skin to smoky eyes and perfect pouts, stunning stars turned heads on March 7th at the 82nd Annual Academy Awards in Hollywood. Helping perfect those looks was Bruce Grayson, makeup department head for the Academy Awards. As the lead artist for the Academy Awards, Grayson works with Hollywood’s top talents and is an expert at creating an award-winning look – and now he’s sharing his star-worthy tips for getting celebrity gorgeous at home! It’s important to prep your skin a few days before a big event. In addition to drinking lots of water and eating a healthy diet, the key to glowing skin is following a strict skincare regimen. 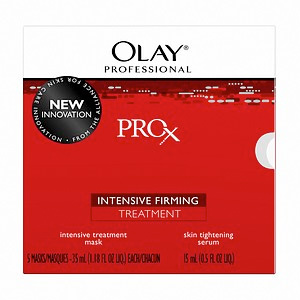 For pre-event prep, try the Olay Professional Pro-X Intensive Firming Treatment ($62) – this two step kit combines a hydrating mask and tightening serum. Packed with an effective blend of anti-aging ingredients, it works to firm skin by helping restore its natural fullness, elasticity and tension. In just five days skin looks significantly younger and firmer! Makeup artist Georgie Eisdell prepped Oscar nominee Carey Mulligan for the big Oscar night.